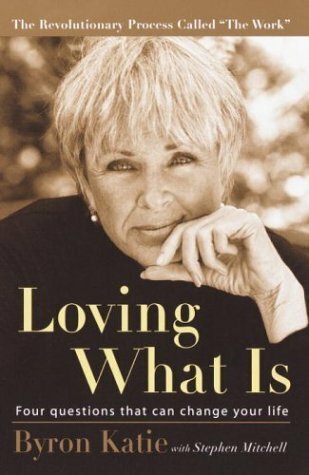 Out of nowhere, like a breeze in a marketplace crowded with advice, comes Byron Katie and “The Work.” In the midst of a normal life, Katie became increasingly depressed, and over a ten-year period sank further into rage, despair, and thoughts of suicide. Then one morning, she woke up in a state of absolute joy, filled with the realization of how her own suffering had ended. The freedom of that realization has never left her, and now in Loving What Is you can discover the same freedom through The Work. This will probably be quite a short review, as it’s not a novel there is little I can discuss about characters and plot points. I have talked about my love for The Work in a few posts before (here) and this was just a lovely addition and refresher to this. I had started reading this on kindle but didn’t find myself reaching for my kindle app very often so eventually switched it up to Audio-Book. The book is narrated by Byron Katie and her Husband (I believe) Steve. It contains clips from seminars and events she has hosted and touches on many different subjects. The book seems to be more of a demonstration of how to carry out the work than a memoir of how she found this system and how she has stuck to it for so long, this is a little disappointing because I’ve seen a lot of clips of the work in progress so I was more interested in her own personal experience with it. It was a good refresher and I can see myself re-visiting it if I ever get a bit rusty on how to apply it to my own life or I ever feel disconnected but it wasn’t really what I was looking for.